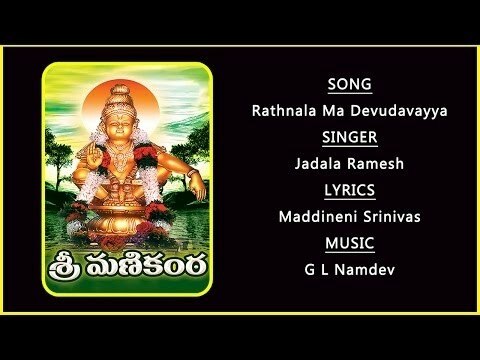 Shri Sabarivasa Telugu Devotional Album Lord Ayyapa Ayyappan Songs....! 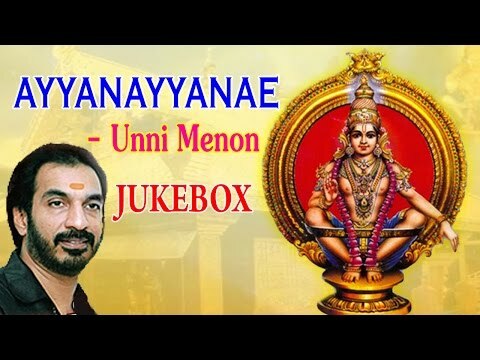 PAMBAVAASA SREE SABAREESA Ayyappa Devotional Songs ====================================================== Album: RAA RAA MANIKANDA ------------------------------------------------------------------------------------------------------------- Directed by LINSON KANNAMALI ------------------------------------------------------------------------------------------------------------- Produced by M.C. SAJITHAN ------------------------------------------------------------------------------------------------------------- Sung by GAUTAMI ------------------------------------------------------------------------------------------------------------- Featuring PARVATHY ------------------------------------------------------------------------------------------------------------ Music by KANMANI RAJA ------------------------------------------------------------------------------------------------------------ Lyrics by SUJATHA DUTTA ====================================================== SUBSCRIBE NOW =============== mcaudiosindia (Audio and Jukebox): https://www.youtube.com/user/mcaudiosindia/featured MCAUDIOSANDVIDEOS MALAYALAM: https://www.youtube.com/user/MCAUDIOSANDVIDEOS mcvideosculturalprograms: https://www.youtube.com/user/mcculturalprograms mcaudiosjukebox: https://www.youtube.com/user/mcaudiosjukebox mcvideostamil: https://www.youtube.com/channel/UC9ApGbSBPodel8t31yCkL_g mcvideoskannada: https://www.youtube.com/channel/UCgkZscp0USquXvAn-t1Is-g mcvideostelugu: https://www.youtube.com/channel/UCy-MkC-rEK1sMLK2NJSFxTw mcyouthfestival https://www.youtube.com/channel/UCJ3CoZCfDZNzanIIo1mkMYg ------------------------------------------------------------------------------------------------------------- HISTORY ======= The worship of Sastha forms part of the very ancient history of south India. At Sabarimala, the deity is worshiped as Ayyappan and as Dharmasasta. The shrine of Sabarimala is an ancient temple. The prince of Pandalam dynasty, an avatar of Ayyappan, meditated at Sabarimala temple and became one with the divine. The place where the prince meditated is the Manimandapam. There are many Sastha temples in South India and across the globe. As per the temple history, the Sastha temple at Sabarimala is one of the five Sastha temples founded by Lord Parasurama. The other Sastha temples in this group of five includes the Ayyappan Temples: at Kulathupuzha, where the Sastha appears as a Balaka or child; at Aryankavu where the Lord appears as a Brahmachari or young man; at Achankovil Shastha Temple, where the lord leads the Grihastha Ashrama life here and depicted along with his two wives – Purna and Pushkala; at Sabarimala, where the lord is depicted in the Vanaprastha or form of renunciation; at Poonambala Medu the Lord appears as a yogi and where the "makaravilaku' is lit. There also exists a theory based on account from the writings of the Chinese traveller Huan Tsang, who visited India in the 6th century. In his writing, he mentions about a temple of Avalokiteśvara, a Bodhisattva, located near Mount Potalaka. But scholars say Avalokiteśvara is an epiphany of Hari-Hara (Vishnu and Siva) Based on this, there is a theory that the Sabarimala was originally temple of Avalokiteśvara. As per the Buddhist origin theory, in the sanskrit thesaurus Amarakosha, the word Sastha or Dharmasasta is one of the eighteen synonyms of Gautama Buddha. The Mudra shown by the idol of Ayyappa and the yogic position also may have a connection to Vitarka mudra and Lotus position in which Buddha is depicted generously. The chants of “Sharanam”recited by the worshippers to Sabarimala were synonymous to the Saranathrayam of Buddhist disciples and not used in any other Hindu temples. But these are just assumptions and there are no other historical or archeological or geographical evidences to support this theory. After the installation of the temple, it was mostly unreachable for about three centuries. In the 12th century, a Tamil king called Rajasekhara Pandiyan,(a prince of Pandalam Dynasty) called Manikandan, rediscovered the original path to reach Sabarimala. He had many followers with him, including the descendants of the Vavar (a Muslim warrior whom Manikandan defeated) family. This Prince is considered an Avatar of Ayyappa, and is believed to have led a pack of Tigers to his Palace with Vavar and then later disappeared to the Sabarimala temple. The temple was then renovated. In 1821 AD, the kingdom of Pandalam was added to Travancore. 48 major temples including the Sabarimala temple were also added to Travancore. The idol was erected in 1910. In 1950, the temple was suspected to be set on fire by radical Christian extremists which destroyed the entire temple and had to be reconstructed. 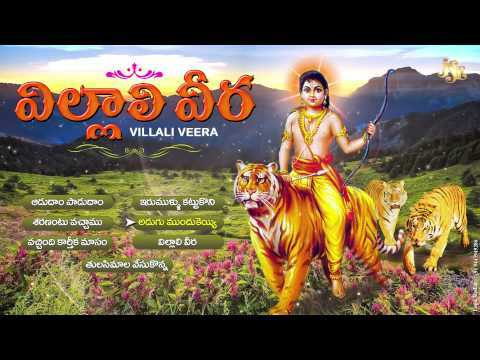 Songs ~ Pallikattu - 00:03 Pamba Vilakku - 04:25 Kaliyuga Varatha - 10:15 Vantha Kadan - 15:50 Nei Abishegam - 21:53 Swamy Swamy - 26:06 Santhana . 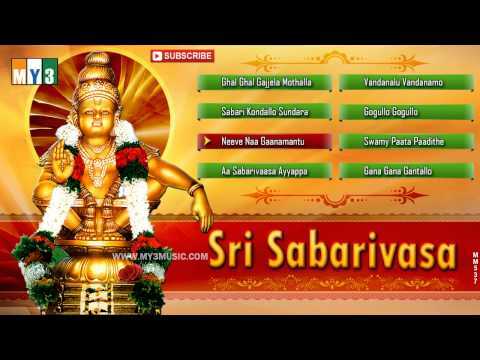 Song List ~ Sri Ayyappan Suprabatham - 00:00 (K.Veeramani) Varugudhu Varugudhu - 11:42 (K.Veeramani) Pamba Villakku - 17:00 (S.P.Balasubramaniam) . Song List ~ Pamba Nadhi - 00:00 (Unni Menon) Kaadu Malai - 04:46 (T.L.Maharajan) Boomiprabanchanae - 11:41 (K.Veeramani) Pallikattu - 16:18 . Lord Ayyappan or simply Ayyappa (also spelled as Ayappa) is a popular Hindu deity worshiped mainly in South India. Ayyaappa is believed to be born out of the . DEVA KARYNINCHAVAYYA SABAQRIMALAI YATHRA Ayyappa Devotional Song ====================================================== Directed by LINSON KANNAMALI ------------------------------------------------------------------------------------------------------------- Produced by M.C.SAJITHAN ------------------------------------------------------------------------------------------------------------ Sung by DIVYA ------------------------------------------------------------------------------------------------------------- Featuring ESTHER ANIL, AMBIKA MOHAN ------------------------------------------------------------------------------------------------------------- Music by KANMANI RAJA ------------------------------------------------------------------------------------------------------------ Lyrics by PONDURY ------------------------------------------------------------------------------------------------------------- Edited by MENDOS ANTONY ====================================================== SUBSCRIBE NOW =============== mcaudiosindia (Audio and Jukebox): https://www.youtube.com/user/mcaudiosindia/featured MCAUDIOSANDVIDEOS MALAYALAM: https://www.youtube.com/user/MCAUDIOSANDVIDEOS mcvideosculturalprograms: https://www.youtube.com/user/mcculturalprograms mcaudiosjukebox: https://www.youtube.com/user/mcaudiosjukebox mcvideostamil: https://www.youtube.com/channel/UC9ApGbSBPodel8t31yCkL_g mcvideoskannada: https://www.youtube.com/channel/UCgkZscp0USquXvAn-t1Is-g mcvideostelugu: https://www.youtube.com/channel/UCy-MkC-rEK1sMLK2NJSFxTw mcyouthfestival https://www.youtube.com/channel/UCJ3CoZCfDZNzanIIo1mkMYg ------------------------------------------------------------------------------------------------------------- HISTORY ======= The worship of Sastha forms part of the very ancient history of south India. At Sabarimala, the deity is worshiped as Ayyappan and as Dharmasasta. The shrine of Sabarimala is an ancient temple. The prince of Pandalam dynasty, an avatar of Ayyappan, meditated at Sabarimala temple and became one with the divine. The place where the prince meditated is the Manimandapam. There are many Sastha temples in South India and across the globe. As per the temple history, the Sastha temple at Sabarimala is one of the five Sastha temples founded by Lord Parasurama. The other Sastha temples in this group of five includes the Ayyappan Temples: at Kulathupuzha, where the Sastha appears as a Balaka or child; at Aryankavu where the Lord appears as a Brahmachari or young man; at Achankovil Shastha Temple, where the lord leads the Grihastha Ashrama life here and depicted along with his two wives – Purna and Pushkala; at Sabarimala, where the lord is depicted in the Vanaprastha or form of renunciation; at Poonambala Medu the Lord appears as a yogi and where the "makaravilaku' is lit. There also exists a theory based on account from the writings of the Chinese traveller Huan Tsang, who visited India in the 6th century. In his writing, he mentions about a temple of Avalokiteśvara, a Bodhisattva, located near Mount Potalaka. But scholars say Avalokiteśvara is an epiphany of Hari-Hara (Vishnu and Siva) Based on this, there is a theory that the Sabarimala was originally temple of Avalokiteśvara. As per the Buddhist origin theory, in the sanskrit thesaurus Amarakosha, the word Sastha or Dharmasasta is one of the eighteen synonyms of Gautama Buddha. The Mudra shown by the idol of Ayyappa and the yogic position also may have a connection to Vitarka mudra and Lotus position in which Buddha is depicted generously. The chants of “Sharanam”recited by the worshippers to Sabarimala were synonymous to the Saranathrayam of Buddhist disciples and not used in any other Hindu temples. But these are just assumptions and there are no other historical or archeological or geographical evidences to support this theory. After the installation of the temple, it was mostly unreachable for about three centuries. In the 12th century, a Tamil king called Rajasekhara Pandiyan,(a prince of Pandalam Dynasty) called Manikandan, rediscovered the original path to reach Sabarimala. He had many followers with him, including the descendants of the Vavar (a Muslim warrior whom Manikandan defeated) family. This Prince is considered an Avatar of Ayyappa, and is believed to have led a pack of Tigers to his Palace with Vavar and then later disappeared to the Sabarimala temple. The temple was then renovated. In 1821 AD, the kingdom of Pandalam was added to Travancore. 48 major temples including the Sabarimala temple were also added to Travancore. The idol was erected in 1910. In 1950, the temple was suspected to be set on fire by radical Christian extremists which destroyed the entire temple and had to be reconstructed.